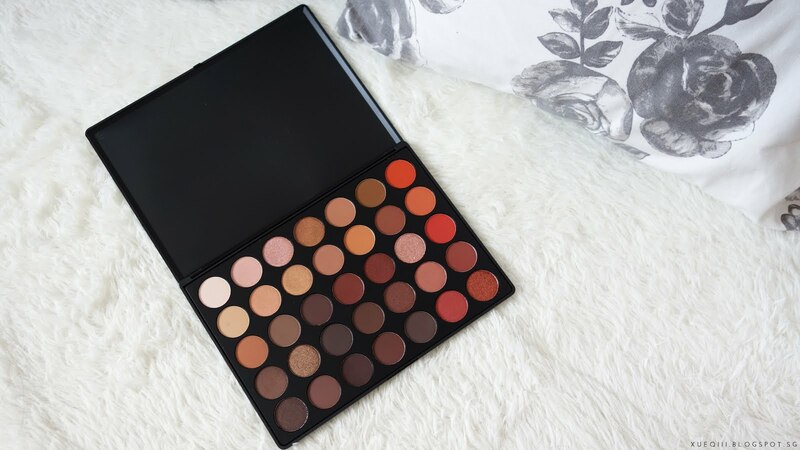 Finally received this insanely popular palette. 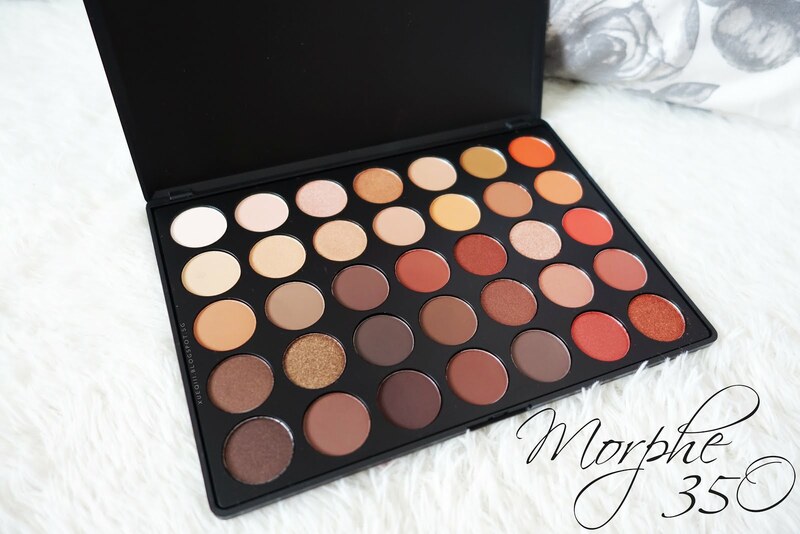 This has been oos for the longest time and only recently Morphe started restocking it more often but last I checked it is still sold out. 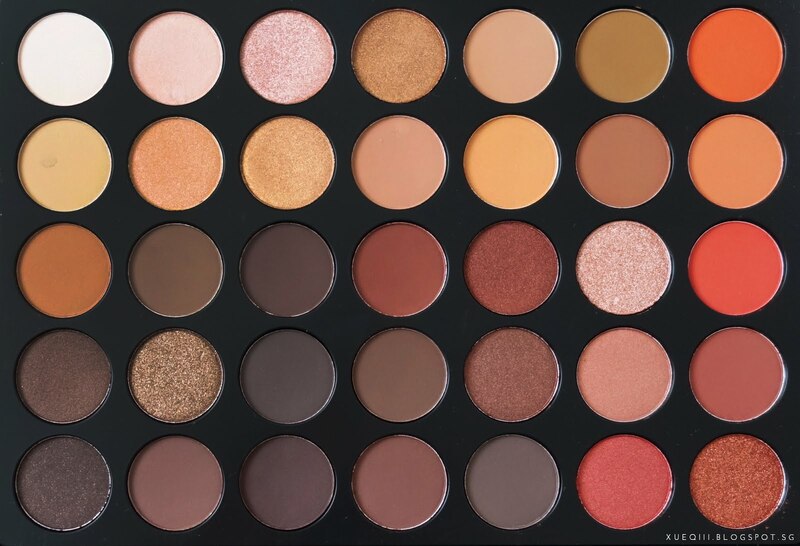 And it is the infamous Morphe 35O Nature Glow Palette. 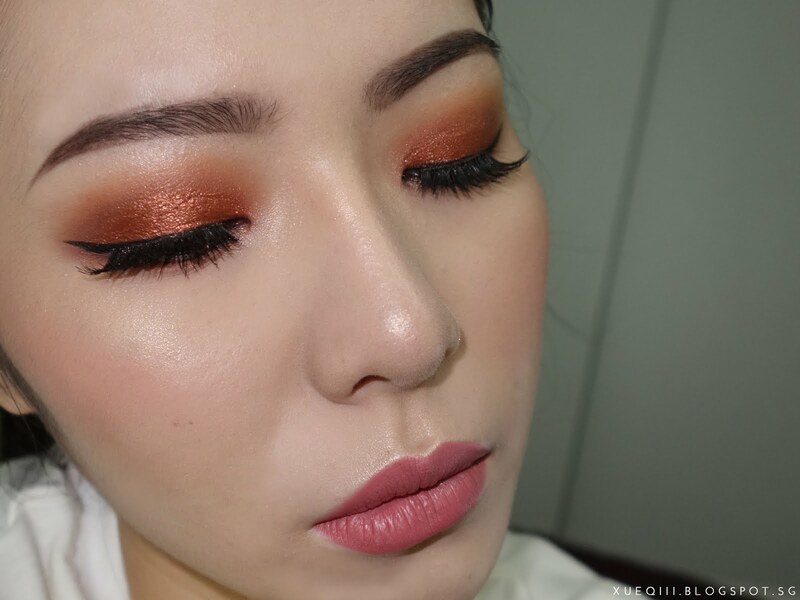 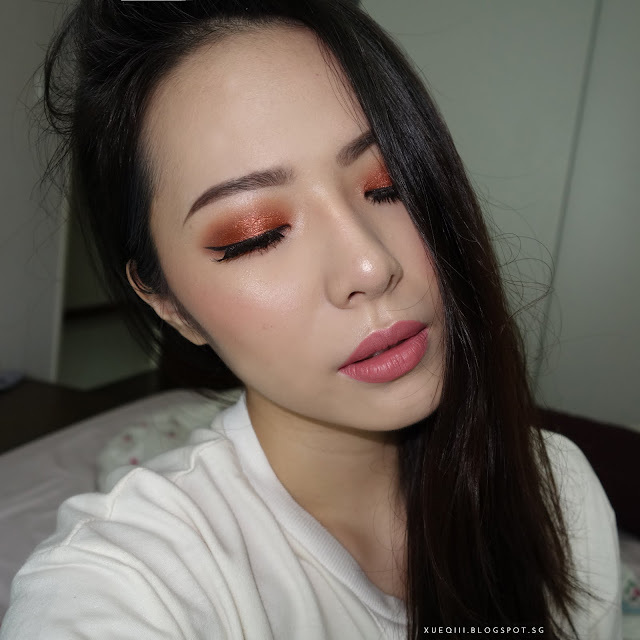 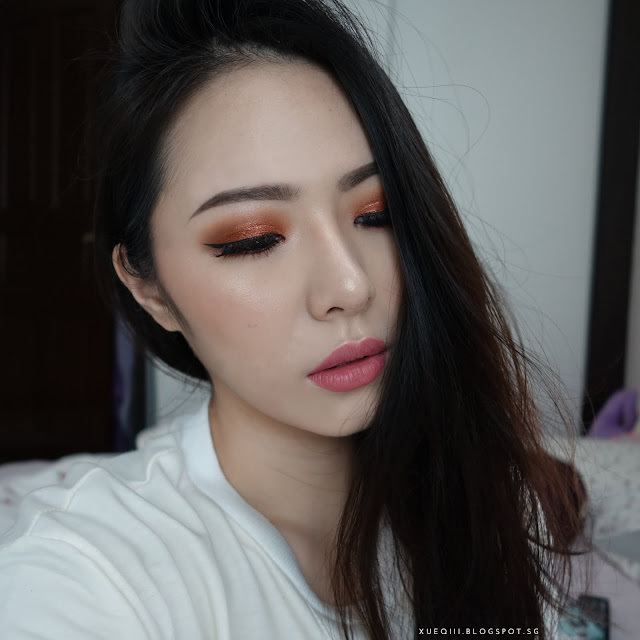 I have done a quick makeup look with this palette as well, more pictures at the end of this post. 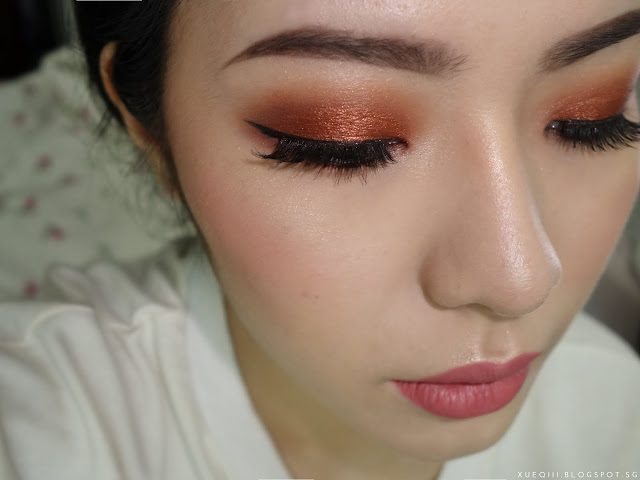 This is the makeup look I did with this palette. Here's a close up on the palette under sunlight and with flash. 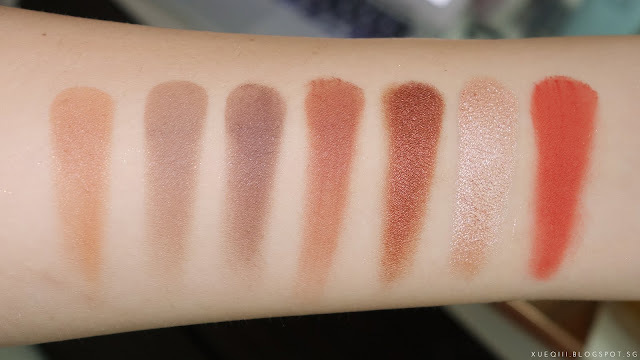 I also took photos of all the swatches under sunlight and flash. 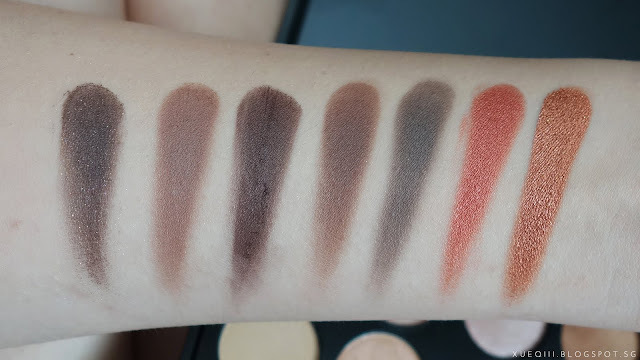 Row 1 consists of a matte cream shade, two light shimmery pinks, a shimmery gold (I quite like this one), two matte browns and a light matte orange. 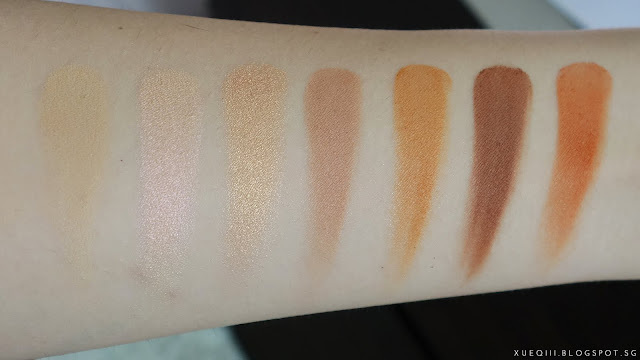 Row 2 has a matte light yellow, two shimmery gold tones, four different matte warm shades - basically the mattes in this palette is either brown or orange. 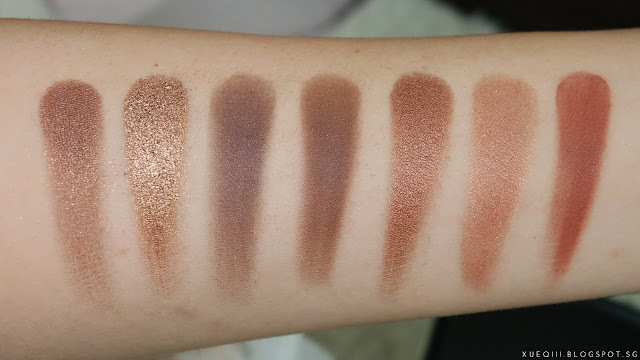 Row 3 has one of the most popular shades in the 35O - second last ultra metallic light pink champagne shade, the shimmery copper brown next to it is also one of my favourite from this palette. 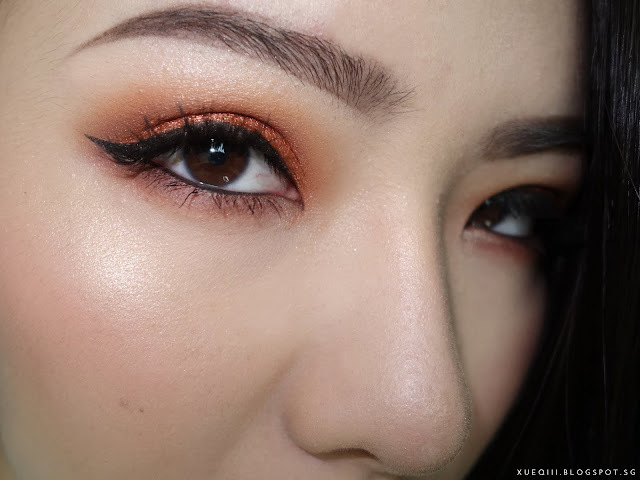 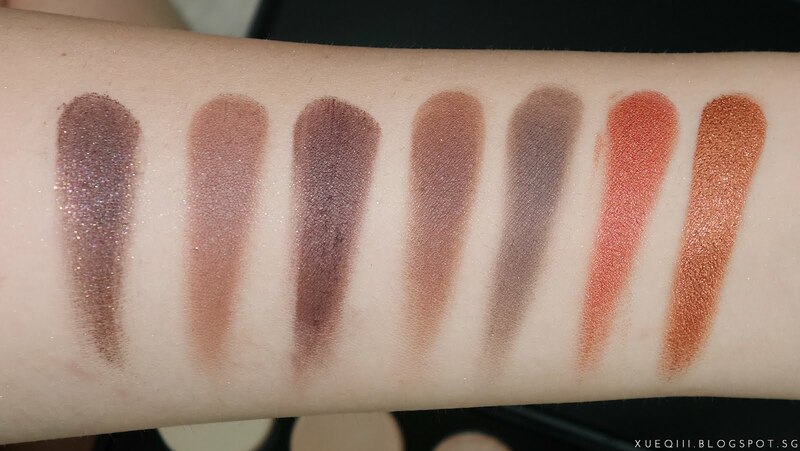 The rest are just a mix of matte browns and orange. 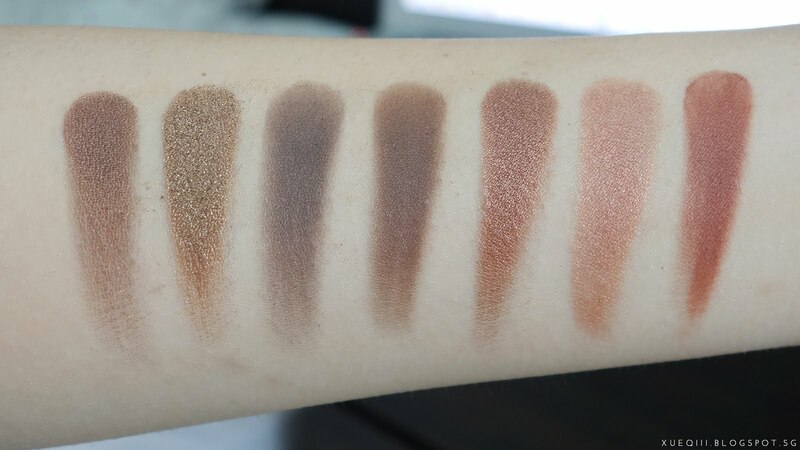 Row 4 has matte and shimmery cool to warm tone browns. 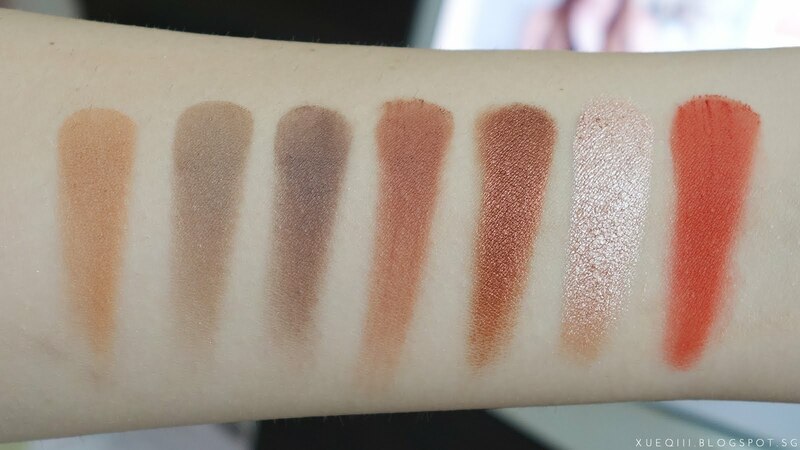 My favourite from this row is the second metallic brown shade. Row 5 consists of darker browns and the last two are extremely eye-catching! 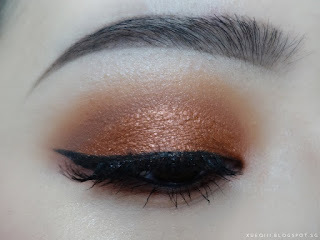 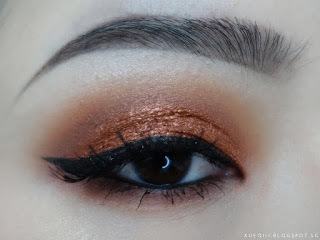 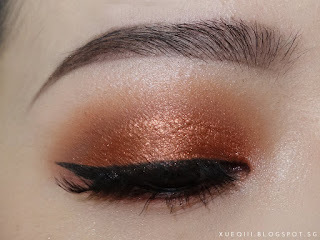 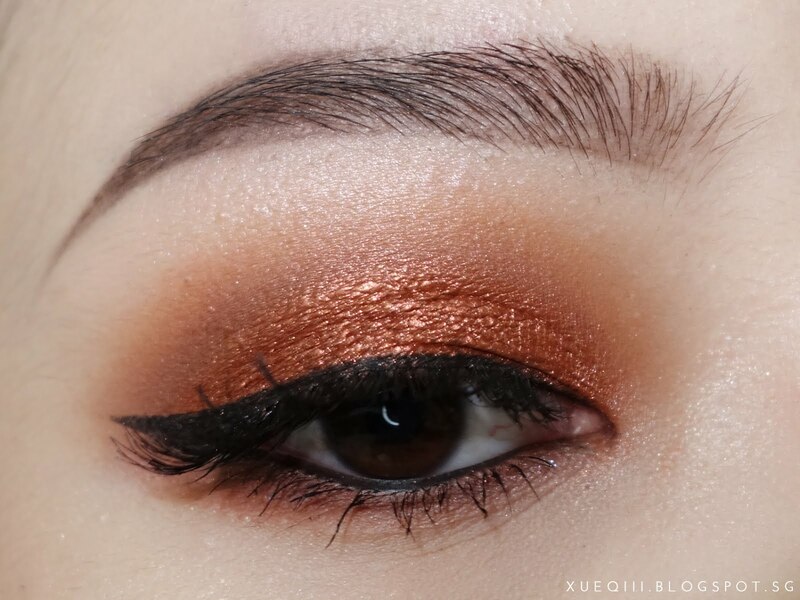 Second last is a shimmery copper red and the last one I guess has to be the most most popular shade in this palette that everyone loves - a metallic copper orangey gold. 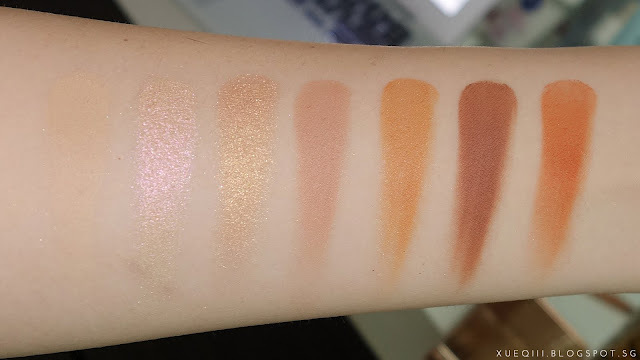 Makeup Geek's FlameThrower is a total dupe! 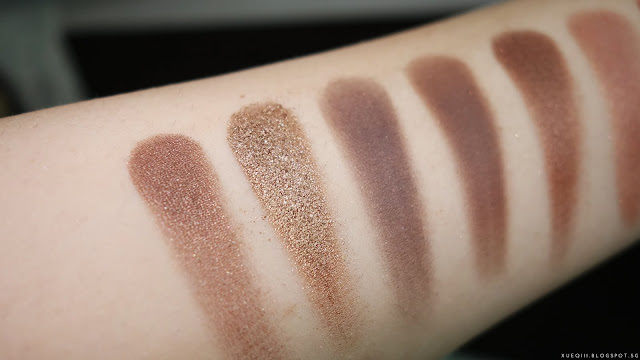 Check out my Makeup Geek shadows collection with swatches here. 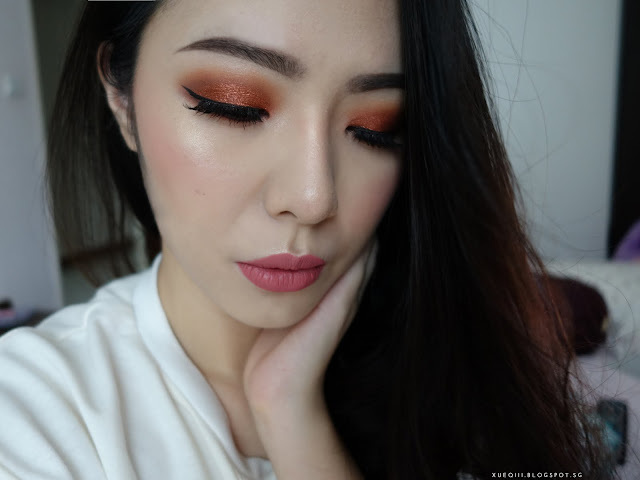 Here is a quick makeup look I did using this palette. 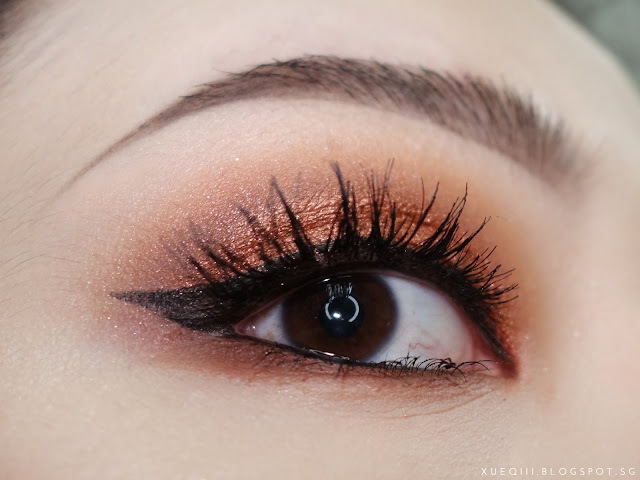 I only have on the Ardell Demi Wispies to give it more volume. While I did enjoy using this palette, I just don't reach for this enough and I have very similar shades in other palettes and Makeup Geek singles. 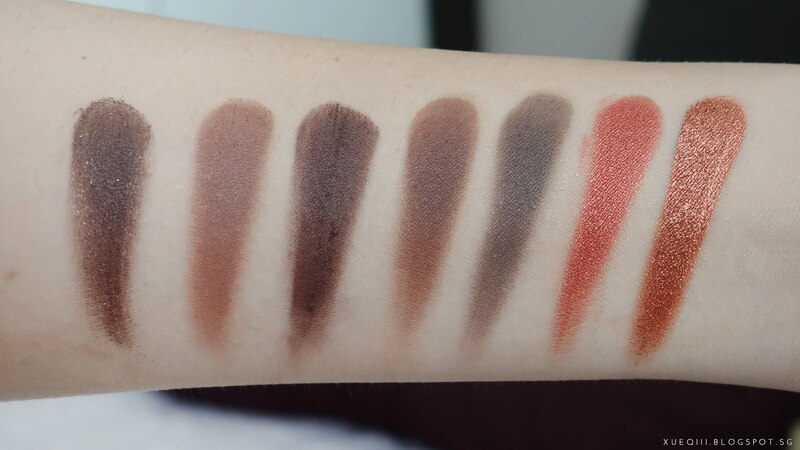 If you love warm colours and will use all the colours (which you will not), then sure go ahead and get this! But I do not think it is worth the hype at all. 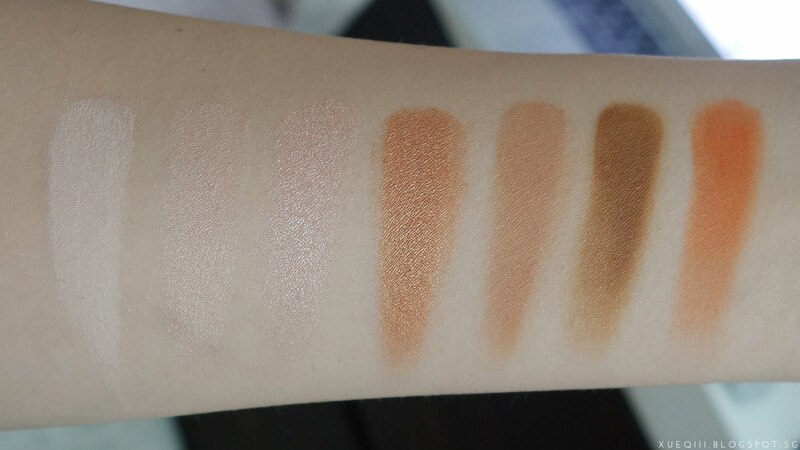 I much prefer the 35T although I could pretty much do without that palette as well. 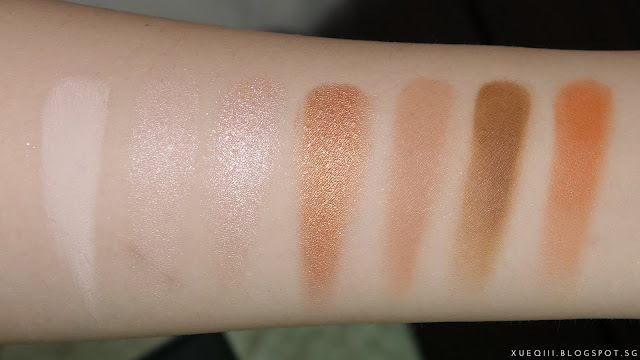 I have already let the 35W and 35O go as I just don't reach for those. However I do recommend their smaller palettes like the 12NB and 12S - super pigmented shimmery shades.